Coin folders are a novel and fun way to store your coin collection. We offer coin folders from Warman, Whitman and Dansco, each with their distinguished look and unique features. Come discover which one is best suited for you and your needs. Warman’s coin folders highlight fun facts and trivia within their pages. All hobbies should be as interesting and fun. Their larger-than-average folders measure 7 x 9.5 inches and feature die-cut slots to hold your cherished coins. All of these features are wrapped in Warman’s glossy and attractive cover. Whitman coin folders open flat for all-at-once viewing. They offer a three panel folder design measuring 7 x 7.75 inches. Mintage statistics as well as other coin series data are printed within the pages of these fine Whitman folders, making coin collecting entertaining as much as it is interesting. Whitman proudly builds their folders with the best archival-safe materials, ensuring no harm will come to your coins. These are truly secure and attractive coin folders. Last, but certainly not least, Dansco offers their aesthetically pleasing coin folder. Take a long look at their brown leatherette folders featuring gold-stamped lettering; simplicity is certainly elegant. The Dansco line of folders hold tan, plastic-coated pages with black lettering. These pages can be removed and added with ease. 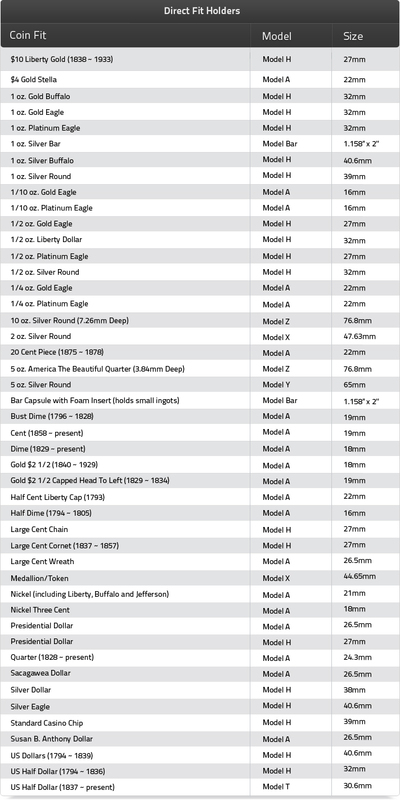 Each of these brands offer coin folders in varying denominations, dates, types and variety. For example, you can choose a folder for nickels, for Franklin half-dollars or for state quarters. You will be amazed at the variety of these coin folders. Visit our website to discover the coin folders you need for your coin collection. And don’t forget to stock up on our other coin collecting supplies. As a coin collector, there will likely be some point in which you need to ship coins. If you pack everything up correctly, you will have few worries. However, shipping coins certainly can be a risky and delicate venture. You can easily find yourself in an undesirable position if your package is lost or stolen. To help avoid this situation, here are a few tips to help you successfully ship your coins. 1. ALWAYS GET A TRACKING NUMBER- As long as you have a tracking number, then any shipments that are lost will not be blamed on you. You need to make sure you notify the person you are shipping to that once the items are shipped, anything that happens is out of your control. You are taking a big gamble by shipping coins without a tracking number. 2. REGISTER MAIL FOR INTERNATIONAL SHIPMENTS- The most secure and safest way to send coins overseas is through registered mail. Anyone who touches your package will have to sign for it, this includes all postal employees. 3. IT’S ALL ABOUT PROPER PACKAGING- Correctly packaging your coins before shipping is an absolute must. For starters, proper packaging eliminates the possibility of damage to your coins. Don’t think that padded mailers are the solution, you need much more. 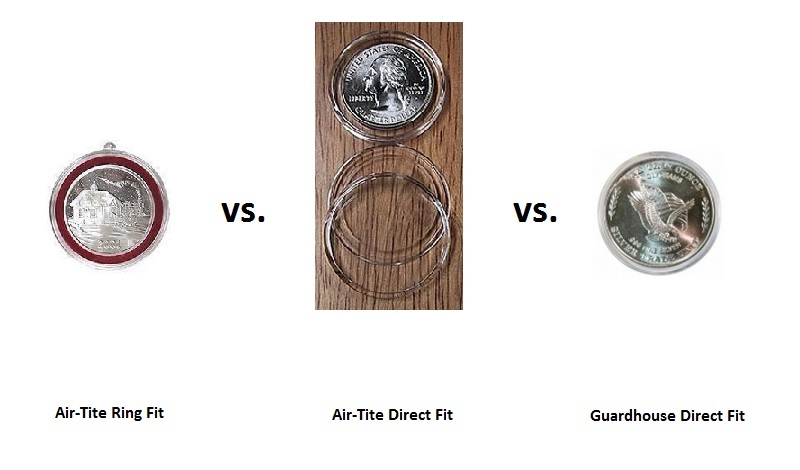 For example, the AirTite Sure Safe Shipper offers the ultimate protection when shipping your valuable coins. It is manufactured with separators to ensure coins do not come in contact with each other. Safe-T-Mailers provide a convenient way to send coins in a regular envelope and is padded and secure. 4. SHHHHH, NO NOISE- It is absolutely critical that you pack your coins so they make no noise. The idea is to create an environment where your packaged coins don’t move about or create any kind of sound. The sound of coins is quite simply too tempting to some, and a dishonest person may just steal your package. One way to resolve this issue is by utilizing coin holders such as coin tubes, wrappers and coin holders. And make sure you employ plenty of bubble wrap. 5. ENSURE YOU ARE INSURED- It is a wise decision to insure your package for the approximate value of the coins you are sending. This way, if something does happen during the transit, you can file a claim and recoup your loss. Follow these five tips and your shipping experience will have a happy ending.Visit our website to discover the coin supplies needed for proper shipping. If you collect coins, then you are aware that there are many types and styles of coin holders available on the market. Coin holders are available in everything from traditional coin wrappers to coin capsules, cardboard coin holders and much more. Here are the top ten things you need to know about coin holders. 1. Coin Supply Planet carries a healthy variety of coin holders including coin capsules, coin wrappers, coin folders, coin tubes, coin cases, coin binders, coin pages, coin flips and coin boxes. 2. Coin holders are available in a varying degree of protection. Plastic coin holders will offer more protection for your precious coins than cardboard holders. 3. Some coin holders are only safe for short-term use. For long-term storage, you will be better off utilizing plastic coin holders. 4. Coin holders are available in a variety of shapes and sizes. Coins come in many shapes and sizes, for optimal storage you will want to discover a holder that best fits the coin. 5. There are specially made envelopes utilized to hold coins. The drawback to these envelopes is you must take the coins out in order to view them. 6. Plastic tubes are ideal if you have several coins the same size. These tubes are designed to hold rolled coins, it protects them by keeping them from moving around. 7. Coin folders are a great way to store coins for the beginner. Folders are an inexpensive and fun way to hold your coins. 8. Flips are small, see-through plastic holders that are usually two inches square when folded. Many flips have a separate space to place a small card with the description of the coin. 9. Two by Twos are small cardboard holders with cellophane windows. Don’t put full trust in the name as these holders do come in a variety of sizes. 10. Coin holders should be utilized for all the coins in your collection. Keep your coins safe from the elements and accidents, you wouldn’t want your 1916-D dime to suffer damage. As you can see, there is a coin holder for every need. Now, you don’t have any excuses for not properly protecting your coin collection. Come and discover which type of coin holder will best serve your specific needs. One of the newer modern-day pastimes is collecting our state and territory quarters. Between 1999 and 2009, the United States issued quarters for each of the fifty states plus each of the six U.S. Districts and Territories. These state quarters are relatively abundant and fun to collect for all age groups. To make collecting these coins even more fun, we offer three state quarter folded maps as a way to hold and display your collection. Let’s take a closer look at our selection of display maps so you can discover which one is best suited for you. Our Littleton U.S. Quarters Map is made in the U.S.A. and will most certainly make coin collecting a fun and educational experience. When opened, this map is a generous 16” x 26” so it is perfect for display purposes. Each state is color-coded by the year of its quarter’s issue. Kids will take an instant liking to geography as they insert each quarter snugly into its proper place with ease. The Littleton map is colorful, durable and folds in half for easy storage. The Whitman State Quarters Map features a beautiful, 4-color oversized 3-fold folder with a snap latch. The Whitman boasts an excellent map design with detailed information on each state. These educational details include statehood date, capital, state bird and more. This makes the Whitman Map an ideal learning tool. Fully opened, the Whitman Map is 37.5” x 13.5”, making it the perfect size for displaying your quarters. When closed, the Whitman is a mere 12.5” x 13.5” for easy storage. Combine geography and history with coin collecting with the H.E. Harris State Quarters Map. This fine map is also color-coded and features high-quality game board with a light gray leatherette cover.Quarters slide in their place with ease so even your kids can do it. When opened, the Harris Map measures a paltry 16” x 26’ to display your collection. As you can see, these quarter state maps are similar in many aspects. The only differences are the dimensions and scope of decoration and color. We would love to recommend one map, but all three are quite good choices. Whichever map you choose, you will most certainly enjoys hour after hour of entertainment and learning. These maps make perfect gifts for grandkids, nephews, nieces or anybody who wants to have fun collecting our state quarters. Click now to learn more about our quarter state maps and discover which will best suit your needs.